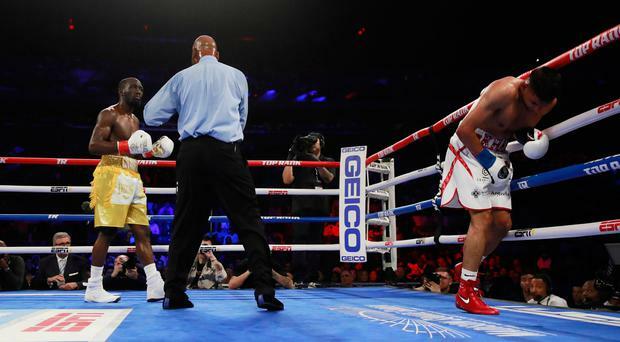 Amir Khan's dream of finally proving himself one of the finest fighters in the world ended in a controversial defeat when he was stopped in the sixth round after a low blow by the great Terence Crawford at Madison Square Garden in New York. 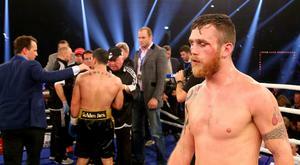 The President of the World Boxing Organisation (WBO) Paco Valcárcel has said he will order an independent panel of judges to assess the controversial scoring in Dennis Hogan's world title fight in Monterrey, Mexico last weekend. Loreto face the toughest possible quarter-final in the EuroHockey Club Cup as they look to dethrone Den Bosch, the dominant force for almost 20 years, when they meet in Amsterdam. Two million euro, 1,112 tests and all for just one doping case - it seems Irish sportspeople are either among the cleanest in the world or the best at evading detection. Ireland’s Sam Bennett won his second stage of the Tour of Turkey in today, stretching his overall lead at the top of the general classifcation. Katie Taylor will attempt to unify the lightweight division in women's boxing when she takes on Belgium's Delfine Persoon on June 1 in Madison Square Garden. 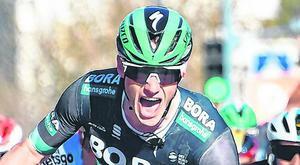 Sam Bennett took over where he left off last year when he won the opening stage of the Presidential Tour of Turkey in Tekirdag yesterday, writes Gerard Cromwell. Ferrari boss Mattia Binotto insisted his team made "the right choice" in ordering Charles Leclerc to let team-mate Sebastian Vettel past even though it may have cost him fourth place following a disappointing Chinese Grand Prix for the pre-race favourites. Bernie Ecclestone has been criticised for making "stupid" comments about Michael Schumacher after claiming that the seven-time Formula One world champion's "problem was that he had no limits." cycling: Daniel Martin moved up one place to fourth overall at the Tour of the Basque Country after finishing sixth on yesterday's fifth stage, which was won by Bora-Hansgrohe's Emanuel Buchmann. Former underage high-jumper Lorcan Murphy aims to reach new heights by helping Templeogue to their first Champions Trophy in tomorrow's final against Belfast Star (DCU, 4pm). Joe Ward eased into the quarter-finals at the 45th Chemistry Cup after dominating Piotr Sczukowski in Cologne last night. Jimmy Duffy from Blennerville pedalled the famed Ring of Kerry charity cycle on an old-fashioned, throw- your-leg-over-the-bar bicycle. Pegasus eased to the women's EY Hockey League title with a 6-0 win over bottom side Muckross giving them the point they needed. Kildare-born Judy Reynolds (37) produced a spectacular performance to finish 11th at the FEI Dressage World Cup final in Gothenburg, Sweden, on Saturday. AS fundraising goes into overdrive today – the Special Olympics Ireland team are looking to the future with their Young Athlete programme. Six months after giving birth, this was the comeback of a champion, a classy, courageous effort that showed few can fight like Fionnuala McCormack. 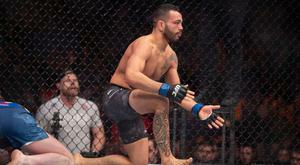 Eric Donovan is expected to start targeting Spanish veteran Kiko Martinez for a European title shot after claiming his first pro belt at Dublin's National Stadium on Saturday night. When Kash Ali fell on David Price and tried to bite a lump out of his opponent's chest it was certainly a disgrace, a final act of cowardice, a truly desperate chance for Ali to avoid getting hurt. Lewis Hamilton was handed a dramatic victory in Bahrain after a cruel engine problem denied Ferrari's Charles Leclerc a maiden win. A crash 40km from the finish saw Dan Martin plummet to a 23rd-place finish overall on the final stage of the Volta a Catalunya on a day which saw Astana's Miguel Angel Lopez triumph. Jordan Sloan powered his way to 200m freestyle gold at the Irish Open Championships in a time of 1:48.44, edging Jack McMillan at the National Aquatic Centre. Darragh Greene set an event record at the Irish Open Championships to secure 100m breaststroke gold on an opening day that also delivered three national records. Caster Semenya has accused Sebastian Coe of "opening old wounds" after his comments about the double Olympic champion in a newspaper article. In one way it makes no sense. Who ploughs a decade of diligent toil into the search for sporting perfection, only to abandon their mastered field once they find it?